Installing a fully insulated Garden Office in Flintshire, North Wales has become a popular choice for employees wanting the flexibility of home working but enjoy the feeling of going to a designated space to work. One of those who took the leap last year from rented office accommodation to a fully functional smart Garden Office is Stuart Haynes, a systems accountant for a global banking firm. The dad-of-two, who oversees a team based across Europe, swapped the daily commute along the M56 into Manchester for an office in the garden of his home in scenic Flintshire. 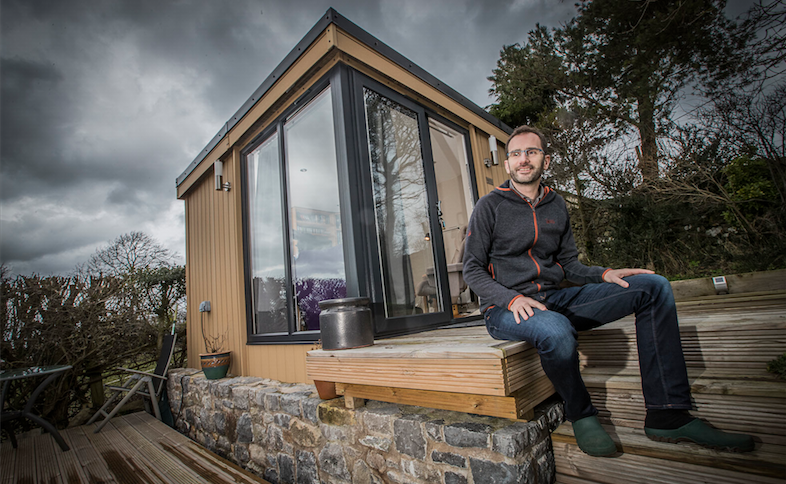 His five metre by four metre insulated Garden Office office at his home in Moel y Crio, Halkyn, overlooks the spectacular Moel Famau and the Clwydian Range, an officially designated Area of Outstanding Natural Beauty, which never fails to motivate him. 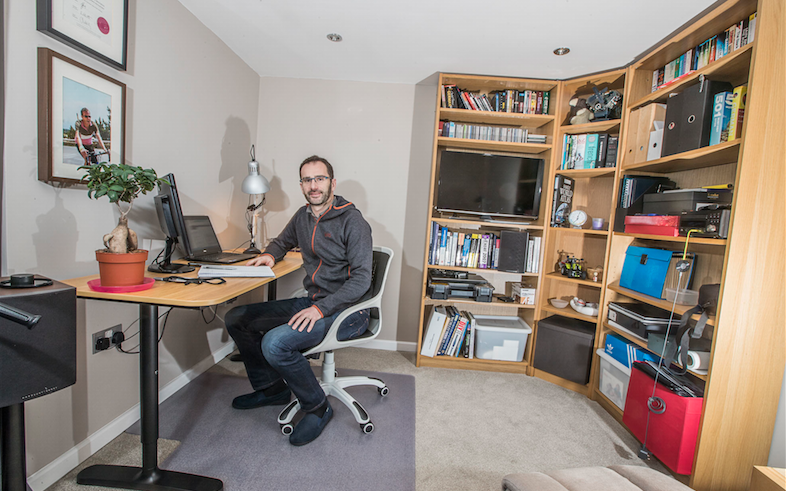 “I’ve always worked from a company’s office but in the last five years with faster broadband and employers becoming increasingly more flexible I’ve been able to work from home,” said the 44-year-old, who lives with his wife and two children, aged four and six months. “I manage a team across Europe but they really don’t care where I am – at the end of the day I could be in Manchester or in a garden in North Wales! “I’ve only started working from home for the past two years. It’s been a gradual move from just the odd Friday at home to two days in the week and now to being almost exclusively at home. “The contemporary Garden Room is a Home Office during the day but has a Home Cinema for the evenings and is very much a ‘man cave’. I have a four-year-old and six-month old and I love them to bits but it’s nice to have somewhere that’s neat and tidy. “We have beautiful views and it’s nice to be on the phone one minute to someone in New York and then someone in Brussels and look out of my comfortable Garden Office and see Moel Famau and a few sheep knocking about. Stuart was highly impressed by the professionalism of Rubicon Garden Rooms in transforming his vision into reality. “We’re right at the top of a hill and we get battered by strong gusts and I had some doubts whether the structure would be strong enough but it’s solid as a rock. I would recommend Rubicon to everyone. 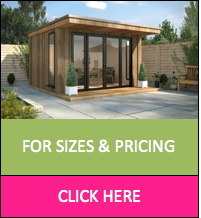 The initial investment in a Rubicon Garden Room can be recouped, on average, in less than two years, given the saving on commercial rents and rates, and is also business tax deductible.